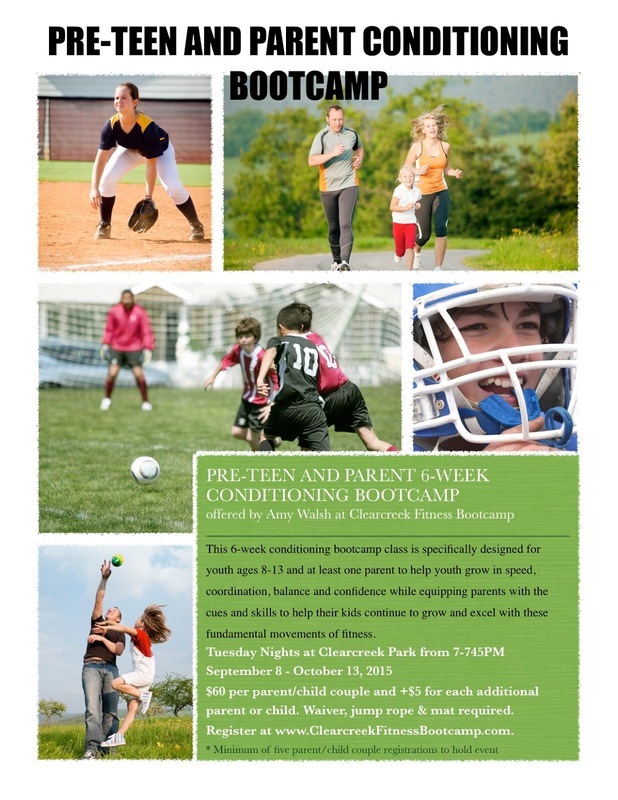 This 6-week conditioning bootcamp class is specifically designed for youth ages 8-13 and at least one parent to help youth grow in speed, coordination, balance and confidence while equipping parents with the cues and skills to help their kids continue to grow and excel with these fundamental movements of fitness. Cost: $60 per parent/child couple and +$5 for each additional parent or child. Equipment: The only equipment needed is an exercise mat and jump rope for each participant. Waiver: Please fill out and bring the waiver for all participants with you on the first day.